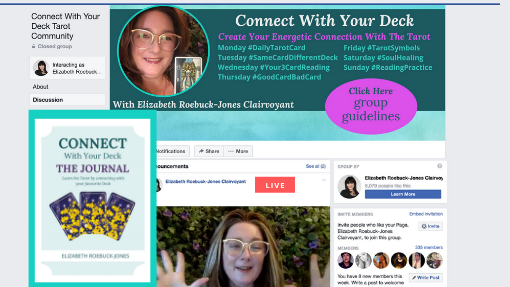 This 12 week self paced course will help you build your spiritual connection with YOUR Tarot or Oracle deck. Week 1 – Create a spiritual altar. Week 2 – Cleanser your deck. Week 3 – Charge your deck. Week 4 – Carry your deck. Week 5 – Start a journal. Week 6 – Interview your deck. Week 7 – Find the cards you connect with. 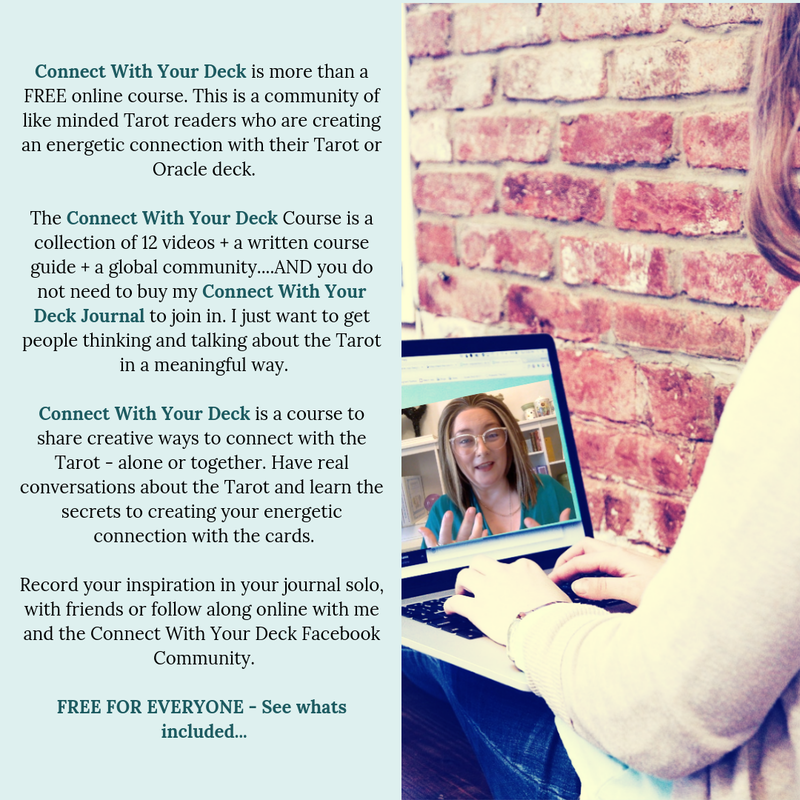 This is more than just a FREE course this is a community of spiritual people who want to use the Tarot and Oracle for a deeper connection with the world. This is a place for people who want to have a conversation about the Tarot and what spiritually works for them. 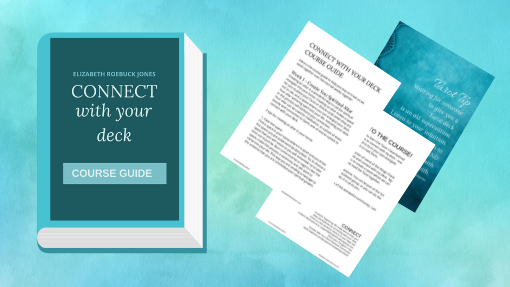 This gorgeous printable Course Guide breaks down the course content so you can plan your time. The guide includes activities for each week and journal prompts. Whether you follow along in the online community or do the course solo this is your journal to enjoy. Want to get started? YES PLEASE!